[PDF] The Ultimate French Review and Practice (2nd edition) | Free eBooks Download - EBOOKEE! Posted on 2017-10-22, by luongquocchinh. 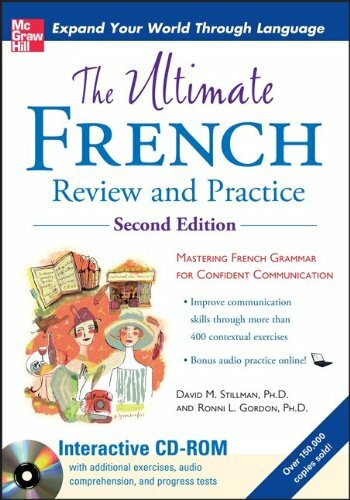 Description: Gain confidence in your French-language communication using the method trusted by more than 200,000 students The Ultimate French Review and Practice gives you a good grasp of grammar so you can build your skills and confidence in communication. Each grammatical concept is explained and illustrated with engaging sentence examples you'll also get extensive exercises offer practice at applying this knowledge in everyday conversation. 2018-01-23[PDF] The Ultimate Spanish Review and Practice, 3rd Ed. No comments for "[PDF] The Ultimate French Review and Practice (2nd edition)".